Personally I don’t like the Google+ community feature. The reason is because it hurts the interaction and engagement on our own Google+ profile posts. People hang out in the communities instead of discussing on normal Google+ posts. And the engagement and interaction is what Google+ is best at. Comments are content. It feels more like people is using communities because they can’t build up their own following crowd, and starts posting their stuff in a community instead, but then they have given up on their own profiles. They won’t grow their own following crowd anymore. Trust me I know, you need to continue posting interesting stuff on your own profile and not in a community to grow. It doesn’t matter if you engage a lot in a community instead. It won’t grow. You need to engage on your own profile. I have now over 51,000 followers on my personal Google+ profile, and it has been quite hard work to get there. I would never have been there if I have given up and start using communities instead. Then you will have almost no spam or pointless posts, instead you will have rich content that the community members can enjoy and discuss. If you don’t control and moderate the community very thoroughly, the members will start posting self promoting posts, spam, duplicate content and troll posts in no time. Another thing that is important is to listen to the community members wishes for new categories, with more categories to choose from, the easier it is to follow a specific topic you are interested in. 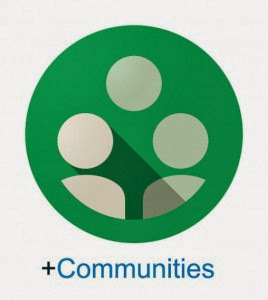 I hope these short tips can help you creating a successful Google+ community.